The next day I removed the excess glue from the joints using an ordinary paint scraper. 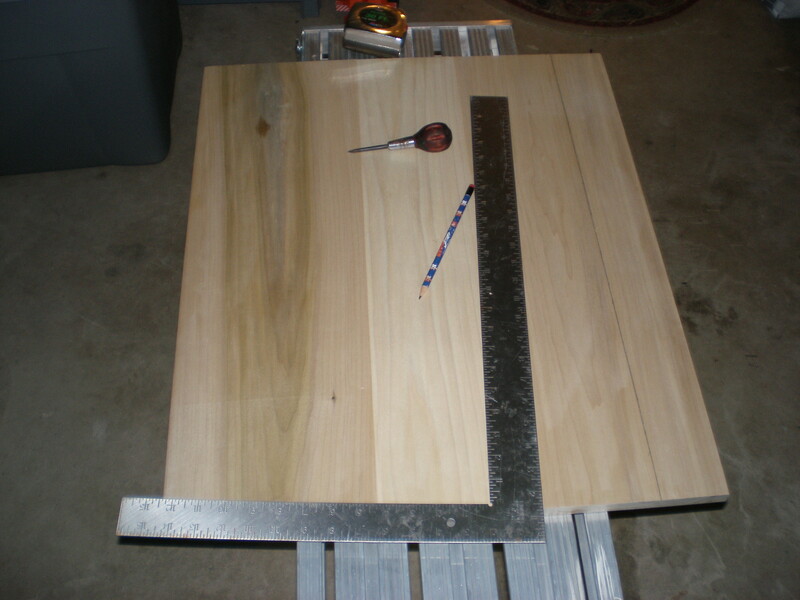 Then I flattened the entire panel (both sides) using my low angle jack plane (LAJP). I love acronyms. 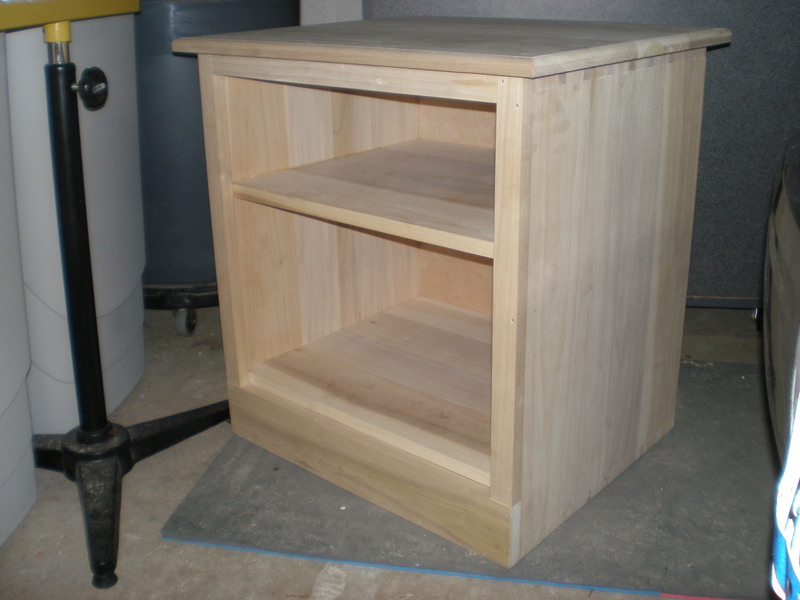 The glue-up was really good, so I didn’t have much work here. The day after that, I cut the panel down to final dimension. It came to 19″ wide by 22 1/2″ length. I’m not too concerned with final dimension as long as it looks pleasing to the eye. I’m not even sure what the dimension is in my final design…I haven’t really looked at it in a while. I started by scribing a line along the length of the panel using my awl, which I darkened with a pencil. I had one straight edge which I referenced off of to make my marks. I back cut the scribe line at the far end to help me start my saw cut, and off I went…again using my crosscut saw to rip. It works. I called on some paste wax to come to my rescue. I then marked a square scribe line off of that same reference edge. This time I used my marking knife and darkened it with a pencil. 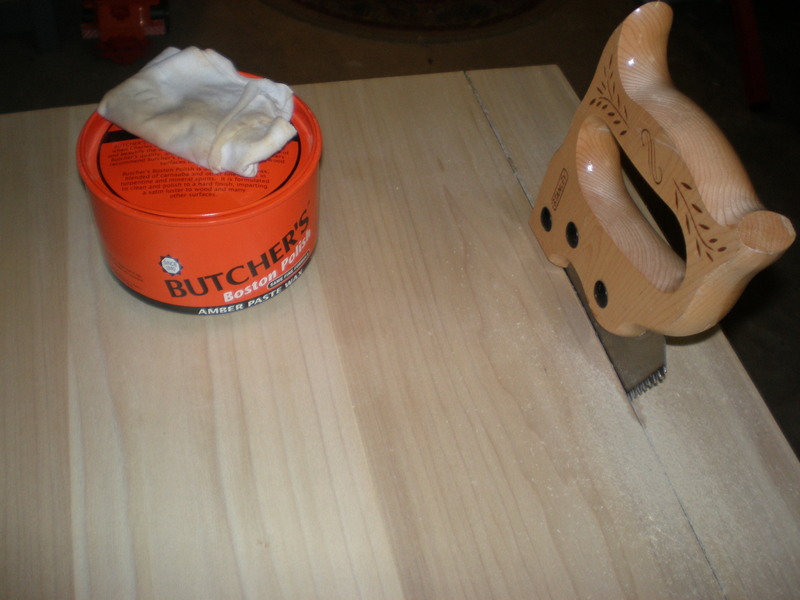 The crosscut made quick work of that cut…as it should. I repeated this process for the other side and then moved on to cleaning up the saw cuts. 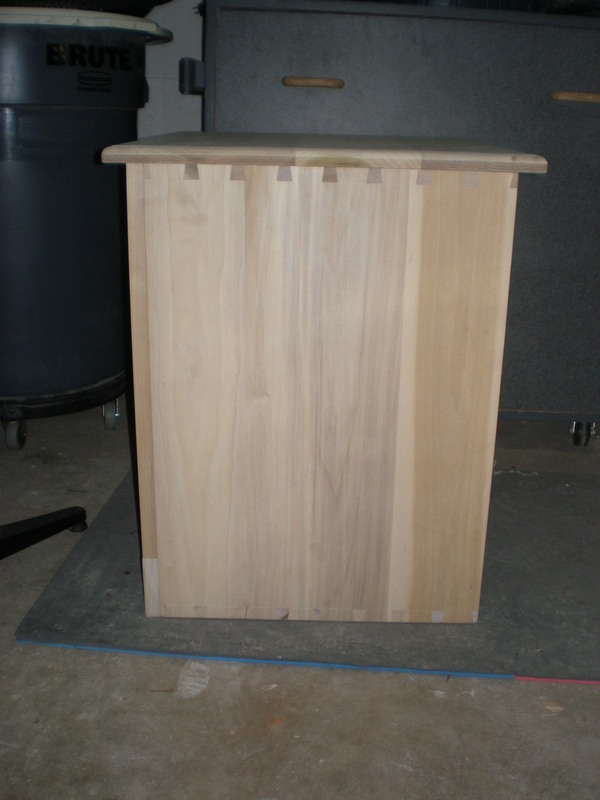 The saw cut down the length of the panel was really good…just a couple passes with the LAJP and it was done. The two end grain edges that were crosscuts needed a lot more work. I don’t know if it was my technique, or just the saw I was using, but I had a decent amount of tear out. After I completed the first crosscut I noticed this, and even put tape down the saw cut of the second cut. I still had a decent amount of tear out. I probably should have used my crosscut back saw, but I thought the panel was going to be too large for the saw. Instead I used my panel saw, which isn’t the greatest. I bought it from one of the big box stores like 15 years ago, and it has been used for everything…even cutting limbs after our surprise snow storm before Halloween. I am in much need of purchasing some new hand tools. I was able to remove all the tear out, but it took a lot of elbow grease and my block plane to clean up the ends. They look great and I squared them up in the process. However, it took so long, I had to hold off finishing the top until the next night. 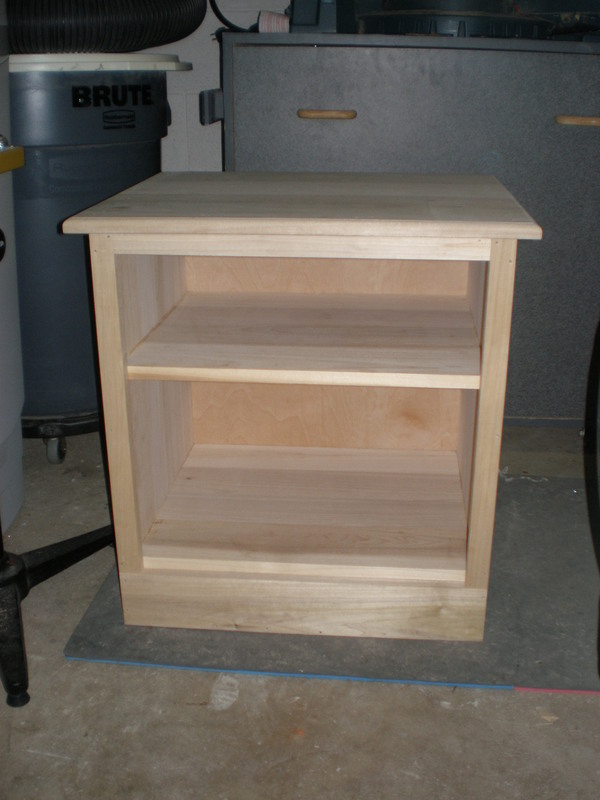 Last night I finished the top and attached it to the nightstand. I cheated and used my router to cut the profile on all four edges of the top. This will most likely be one of the last power tools I will give up…at least until I have a nice stash of moulding planes. 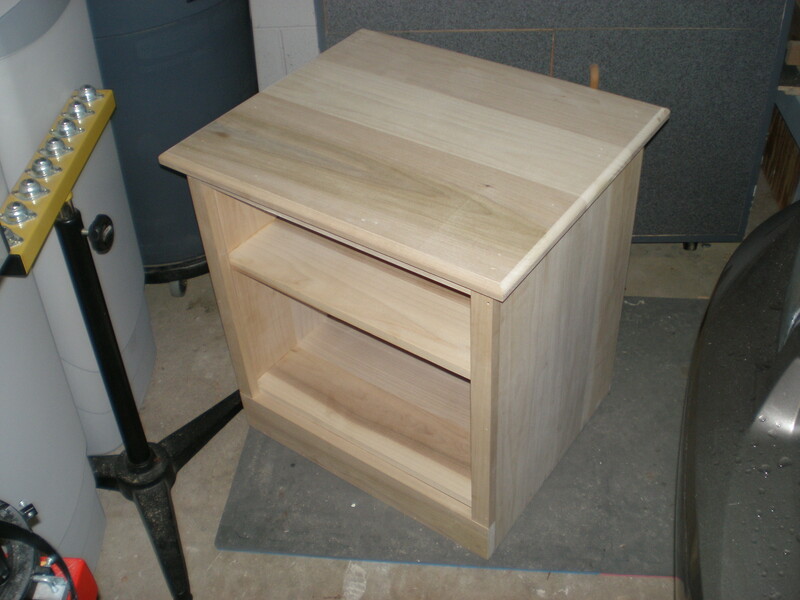 I then attached the top to the nightstand using 4d finish nails. I pre-drilled and nailed along both sides and the front. The last nail I put into the front ran too close to the edge and split out the face frame. I had to remove the entire top to remove the nail. It was good to see that it was quite difficult to remove the top with just the nails holding it down. I’m confident that top won’t be coming off again unless some really wants to remove it. When I re-attached the top I decided to only attach it at both sides. I just didn’t want to take the chance of splitting out the face frame again. Luckily that portion of the frame will be covered with moulding. It’s really solid and I have no doubt it is not going anywhere. To be sure, I added a few more nails to each side. Here’s some shots of how it stands now. Currently I am working on the design for the base moulding…to be continued. 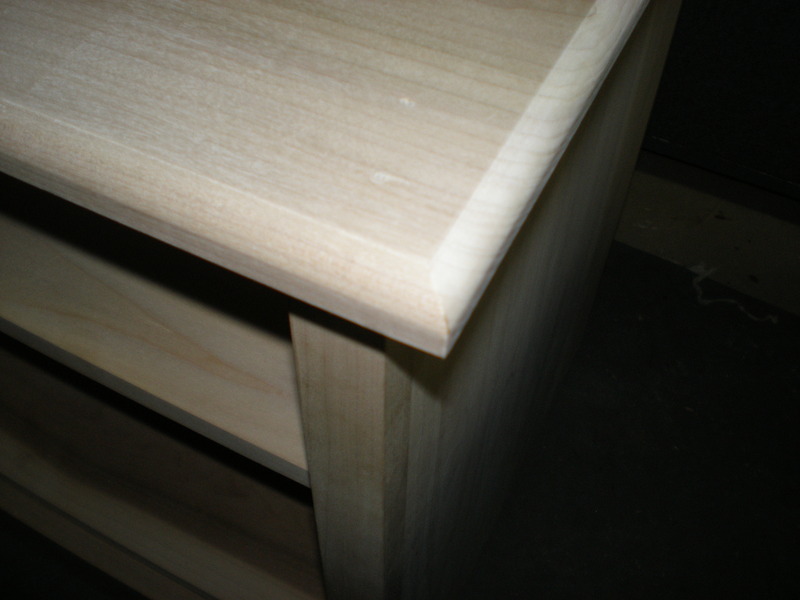 This entry was posted in furniture, hand tools, nightstand, VCF and tagged furniture, hand tools, woodworker, woodworking by villagecustomfurniture. Bookmark the permalink.